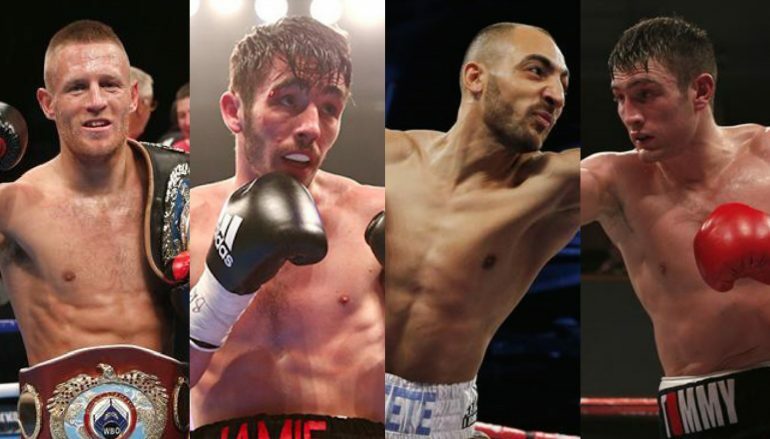 When Frank Warren returns to promote in Wales for the first time in three years, he will bring a collection of his new breed of talents to support Liam Williams and Guillermo Rigondeaux. Unlike on other occasions when stars of larger promotional companies come to town, it won’t be at the expense of local fighters as none of the touring visitors are matched against locals. Still, there are enough reasons for Welsh fight fans to be interested in Saturday’s 14-fight show, which will be broadcast live on BoxNation (Sky Ch. 437) for those at home. Manchester’s loss is Wales’ gain as Terry Flanagan (30-0, 12KO) will make the third defence of his WBO world lightweight crown at the Ice Arena in Cardiff Bay. ‘Turbo’ hoped for a cross-city derby with WBA belt-holder Anthony Crolla this summer. Instead, Flanagan has been a victim of frustrating promotional rivalries and will face South Africa’s faded Mzonke Fana (38-9, 16KO), while Crolla will fight WBC ‘Diamond’ champion Jorge Linares in September. 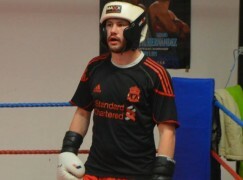 42-year-old Fana was once a super-featherweight world champion but those days are long gone and in contrast, Flanagan is on the second longest active unbeaten streak in British boxing. The sharp southpaw isn’t the biggest hitter but does boast a size advantage over most in the division, which should be enough to halt Fana well before the final bell. They were originally set to fight on the undercard of Tyson Fury’s postponed lineal world heavyweight title rematch against Wladimir Klitschko on 9 July. 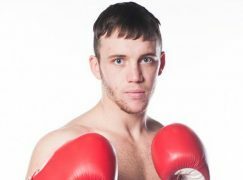 27-year-old Flanagan was looking to build momentum from his most recent fight when he ground out a spirited challenge from Derry Mathews, whose home support couldn’t topple Terry. There’s a strong mandate for claiming Belfast’s Jamie Conlan (16-0, 10KO) to be the most dramatic fighter in the United Kingdom. The super-flyweight will face Czech Republic champion Patrik Bartos (7-9, 6KO) over eight rounds in what’s supposed to be a routine outing, especially considering the Irishman’s last outing. The 29-year-old was a clear odds-on favourite against fellow unbeaten operator Anthony Nelson in April. After dropping Nelson in the opener, Conlan was also cut and took his turn to pick himself from the floor in the third session. Testing times came and Conlan was often on the brink of being stopped. Just when Conlan needed it, he unleashed his best shot – a left hook to the body – to leave Nelson wincing for the full 10 count. What’s better, or worse – depending on your view, is that it wasn’t the first time Conlan has come within a hair’s width of defeat, having done so against Mexico’s Junior Granados, too. Its no exaggeration to say that the Danny Vaughan trained charge has had episodes reminiscent of Arturo Gatti, though Saturday’s run-out is unlikely to be another. Penge’s Bradley Skeete comes across the Severn Bridge looking to build on the best win of his career. The long welterweight travelled to Sam Eggington’s hometown to defeat the British and Commonwealth champion on a rival promoter’s show, comfortably staying a step ahead for the full 12 rounds. However, there won’t be a fraction of the credit gained should Skeete see France’s unfancied Alexandre Lepelley off in their 10-round WBO European title contest. Guided by London’s excellent Al Smith, Skeete has come on leaps and bounds since his sole loss to Frankie Gavin in 2014 and given today’s landscape of fragmented world honours, it wouldn’t be a surprise to see Skeete compete for a world title one day. 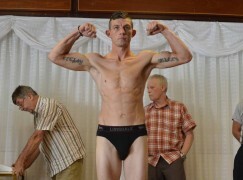 It’s not disrespectful to say ‘Super’ Skeete isn’t the most entertaining but one Welshman who will be keeping a keen eye in the crowd will be Carmarthen’s Dale Evans, who fights further down the card and is eyeing a meeting later in the year. The Midlands’ middleweight Tommy Langford (16-0, 5KO) will make the fourth defence of his WBO Inter-Continental strap against Germany’s Ronny Gabel (21-5-1, 15KO). Langford is big for the weight and combined with solid fundamentals, sharpened under the guidance of Tom Chaney, should have the assets to earn a hard-fought points decision over the distance. The Commonwealth champion holds a lofty ranking with the WBO. 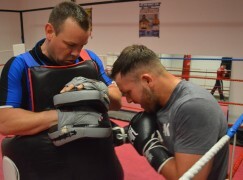 The governing organisation’s champion is a promotional stablemate in Billy Joe Saunders and its probable that the pair will meet if both keep winning over the next two years.